There is a virtual place online where middle-aged mourners can gather to express their memories of a locale where towheaded youngsters, Brycreamed dads, and aproned moms drove in $4,000 Caddies along spotless streets and empty freeways and sent their kids to brand-new schools and inexpensive colleges, swam in sunny swimming pools, consumed burgers in drive-thrus, and went to happy factories in Van Nuys where cars popped off the assembly line like cookies in a bakery. His Facebook page mirrors the website with daily updates and photos and comments on long gone places that once dotted the San Fernando Valley. One of their most recent additions is from Gregg and Davida Symonds of Agoura. 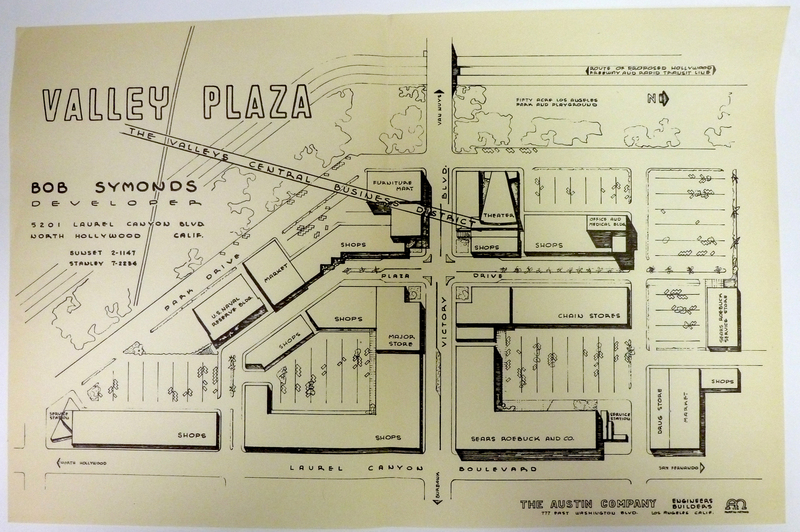 Gregg’s father, Bob Symonds, owned Sunset Farms in Sylmar and was the developer of Valley Plaza in North Hollywood. Valley Relics seems to be enormously successful with 27,185 likes on FB. It preserves the past and shows us what the San Fernando Valley looked like at one point in time. I moved to Van Nuys in 1976 from Long Island NY. I had/have a friend from the Island since I was 14. When I got to Van Nuys (I was 22 then) he told me his grandparents lived here. What a coinsidence. Their last name was Eilenberg, who in the 40s or so, had a chicken farm at the house where they lived in when I did visit them. They were about 90 yers old when I did visit them, farm was sold but home remained. . Their farm and home were located off West Sepulveda Blvd., north of Sherman Way. Anyone know about them? They both died about 28 years ago. 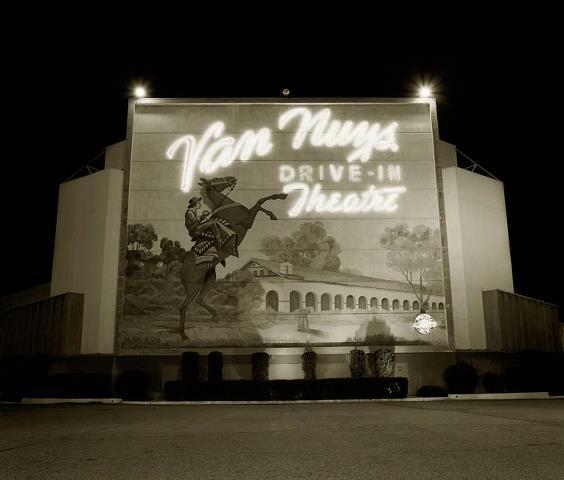 Love the drive-in theater photo! I walked by it in the early 1960s to go to Noble Avenue Elementary School just across Roscoe Blvd. The new Vista Middle School now on the site used the horsewoman for its sign logo. ← The 1940 Census and Hamlin Street.